On November 25, 1915, Albert Einstein finally announced the complete mathematical details of his General Relativity Theory in the last of a series of four papers, but gravity and the nature of space itself, remain as mysterious today as they were back then. By now, we have all become accustomed to hearing about how this theory describes gravity as a 'warp in space', and that general relativity has led to some sensational discoveries and explanations such as Big Bang cosmology, black holes and how clocks run slower under the influence of gravity. We have even heard about how, in the Lense-Thirring Effect predicted in 1918, that rotating bodies can 'drag' space itself and cause some remarkable, but very subtle changes in how spinning gyroscopes behave in a gravitational field. This bizarre phenomenon was studied in detail by NASA's Gravity Probe B satellite. If you want to learn more about general relativity there are hundreds of great resources across the internet to choose from these days. Despite this exciting progress, there are still some very thorny details that have yet to be worked out, or even observed! Relativity theory is based upon the idea that space and time form a single physical entity called spacetime. Every time you try to describe what something is doing, you have to describe its effects not just in relationship to the 3-dimensions of space, but the fourth-dimension of time. 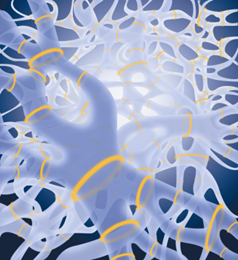 They are intimately connected to each other, especially in the way that you mathematically describe physical processes. You cannot just travel from one point in space to another at a specific speed, but you have to allow for how that motion changes the idea of time along the journey. This is all pretty elementary stuff, and lots of articles have been written about how 'moving clocks run slow' and 'objects contract along their direction of motion'. But general relativity adds one more bizarre detail to this description of 4-dimensional spacetime. General relativity, first and foremost, says that spacetime and gravitational fields are the same thing. They are described by the same mathematical symbol in the theory. 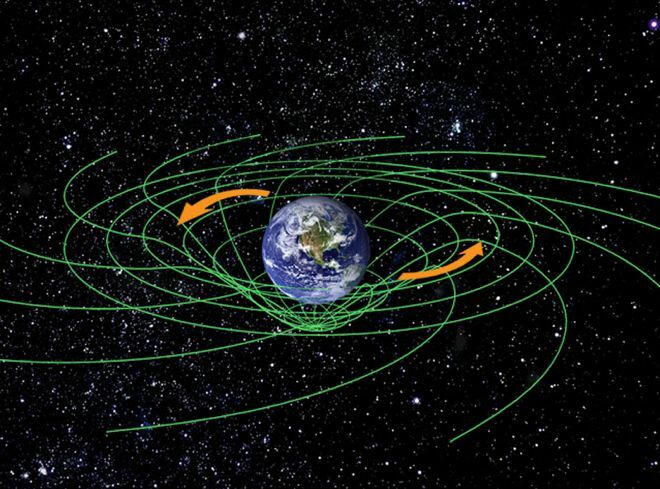 Gravity is not a force at all, but a statement of how objects move in spacetime. If they move along a path that is arrow-straight, there is no gravitational force at all. This is what you would experience in perfectly empty space. But in the presence of matter (or energy), spacetime gets distorted geometrically, so that the straightest-possible lines in 4-dimensions now become curved. We experience this curvature in 4-dimensions as a changing acceleration or gravitational force between these objects. As to why objects (and energy) are capable of distorting spacetime is still completely unknown today. 'Time and space are modes by which we think not conditions in which we live'. Not all forces are the same. For the last 100 years we have learned through countless experiments that gravity is fundamentally different from the other three forces. These three forces, electromagnetism and the two strong and weak nuclear forces, are all that we need to describe the nature of matter and its interactions. This description is called the Standard Model, and has shown itself to be amazingly accurate as a mathematical model to explain even the most challenging experiments now being conducted at the Large Hadron Collider at CERN. 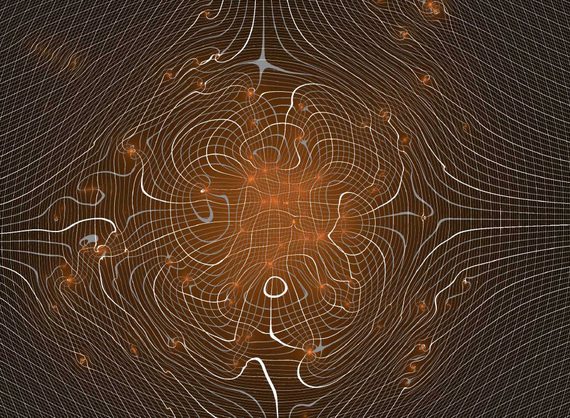 "... theories of quantum gravity [may be] untestable and scientifically meaningless. The classical universe and the quantum universe could then live together in peaceful coexistence. No incompatibility between the two pictures could ever be demonstrated. Both pictures of the universe could be true, and the search for a unified theory could turn out to be an illusion." Richard Feynman once also noted in 1962 'The extreme weakness of quantum gravitational effects now poses some philosophical problems. Maybe nature is trying to tell us something new here, maybe we should not try to quantize gravity. It is still possible that quantum theory does not absolutely guarantee that gravity has to be quantized". We now hear about string theory and other mathematical models for spacetime and gravity, but these are not picture of what gravity or spacetime actually look like, as I pointed out in my book 'Exploring Quantum Space'. Like the schematic diagrams used to assemble radios, which do not describe how electrons move through the network of components, strings and loops are simply what we call mathematical tools that could help us make certain kinds of calculations. They are also similar to the symbolic Feynman diagrams used to describe electromagnetic quantum interactions. These calculations, however, are not required in practice because there are currently no data that demand gravity be 'quantized' to explain a known observational measurement. I discussed these ideas in my Huffington Post blog 'Beyond Space and Time:When the tools become the vision'. We can argue that physics would be simpler if spacetime were quantized, but there is no evidence that our particular taste for unification is actually needed in the real world. Nature would be more mathematically beautiful if spacetime was a field consisting of gravitons or other quantum entities, but these needs are driven by mathematical interests not by any obvious or pressing physical need. Still, the quest is worth the effort, because general relativity at age 100 still asks us to explain how matter can 'generate' the spacetime around us, or vice versa, how spacetime may generate the universe and its physical contents. 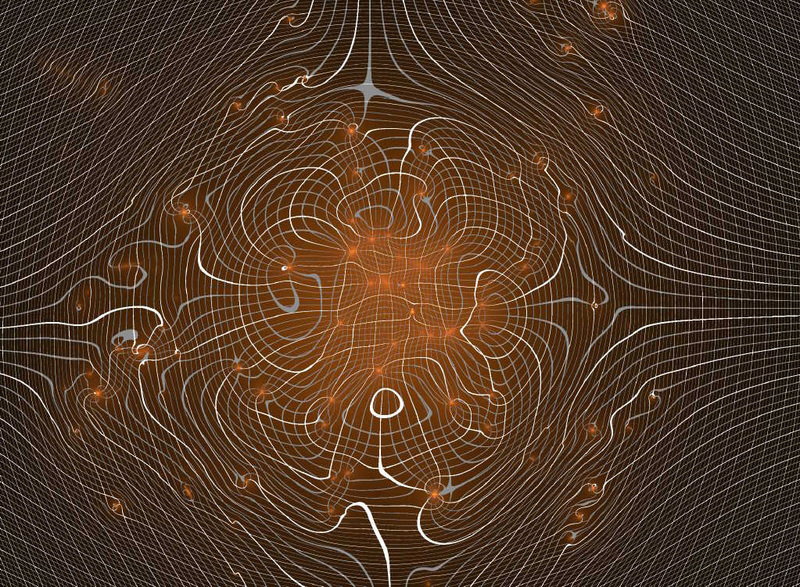 There are solutions to Einstein's theory in which spacetime contains no matter at all and so appears not to even need a source in the first place. There are also recent theories that portray information as being more fundamental than spacetime itself! It all comes down to one thing: If we don't know what spacetime really is as a physical agency, how can we possibly understand gravity or try to manipulate it artificially to, among other things, create 'warp drive'? Now THAT is a mind-numbing question. When general relativity turns 200, we may well find its answer....or not!